Bottom fishing trips almost always provide an excellent catch of various types of fish and are a memorable and fun experience for all ages. One of our most popular trips by far. 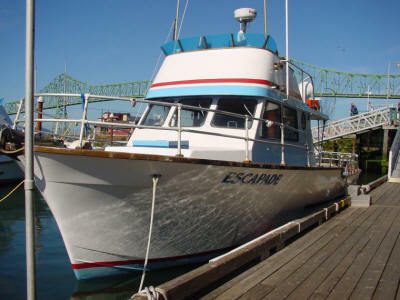 These trips are aboard 30 to 55 foot on USCG inspected charter boats that can accommodate from 6 to 20 persons. Deckhands are available onboard to help anglers hook and land their catch and to provide helpful tips and assistance to insure a fun trip. 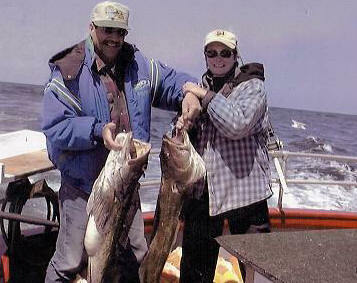 On most trips you'll be in sight of the beautiful Oregon coastline, fishing near shore in 60' to 200' of water. Your trip will take you over kelp pads, reefs and pinnacles which hold a rich habitat for the wide varieties of bottom fish that you will catch. 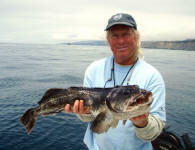 Offshore deep water trips typically provide the best catch of the larger size bottomfish and lingcod. Reservations should be made as far in advance as possible. Boats fill fast during the spring and summer months. Groups can charter boats exclusively for their party of 6 to 20 persons. Call for best prices. All bait and equipment is provided. You will need to bring something to eat and drink. Daily fishing licenses are available at the charter office. Boats 30 to 55 foot, can accommodate 4 to 20 anglers. Trips offered: 5 hr, 6 hr, 8 hr and 10 hour. Crabbing can be added to most trips (in season) $10.00 to $15.00 extra. 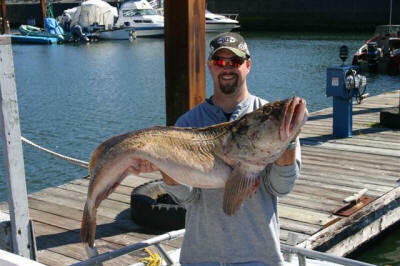 Bag limits: 6 bottomfish and 2 lingcod per person. Fish filleting available upon return ($5 per limit). Note: Bag limits subject to change. Changes or cancellations must be made at least two weeks (14 days) prior to date of trip for refund of initial deposit unless stated otherwise. All trips that are canceled by the guide or charter service due to bad weather or poor fishing conditions are fully refundable (including initial deposit) up to the day of scheduled trip. All trips that are canceled for any reason at any time by client are subject to a $15.00 filing fee. We accept Visa, Master Card, AMX, Check and PayPal. You may also use the Pay Now button at the bottom of this page. After we receive your deposit we will send you a confirmation by e-mail that will contain; all contact information for the guide/charter and check in time, along with a map and driving directions from your location to the meeting area. Information on nearby lodging and fish processing can also be provided by request. Copyright © Business Innovations All Rights Reserved.